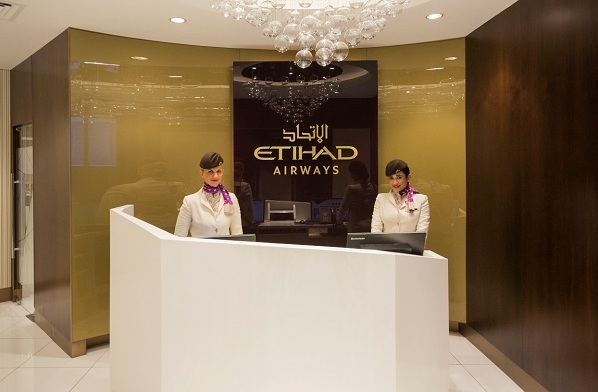 Shane O’Hare, Etihad Airway senior vice president, marketing, said: “This upgraded lounge embodies the contemporary design, attention to detail and customer focus synonymous with Etihad Airways. Open 24 hours a day, the new Terminal 1 Premium Lounge offers a range of facilities catering to the diverse needs of today’s business and leisure travellers. As with the lounge in Terminal 3, the upgraded facility includes comfortable armchairs, a dedicated dining area, state-of-the-art business amenities, complimentary Wi-Fi connectivity, USB power outlets, bathrooms with shower facilities, and a playroom for children. The renowned Six Senses Spa at the lounge has been completely refurbished and is available to promote travel health and wellbeing. Lounge guests are invited to use the spa prior to boarding flights and can enjoy a refreshing complimentary 15-minute spa session, with a range of other treatments available by appointment.